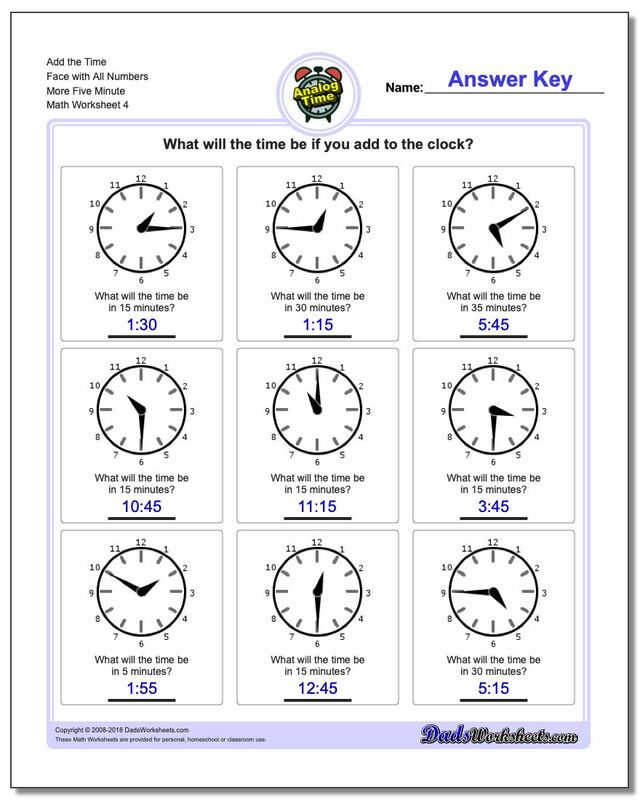 Addition of five minute intervals to times (addition of 5 minute intervals to times). 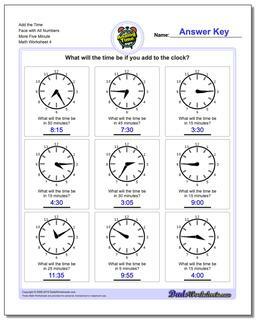 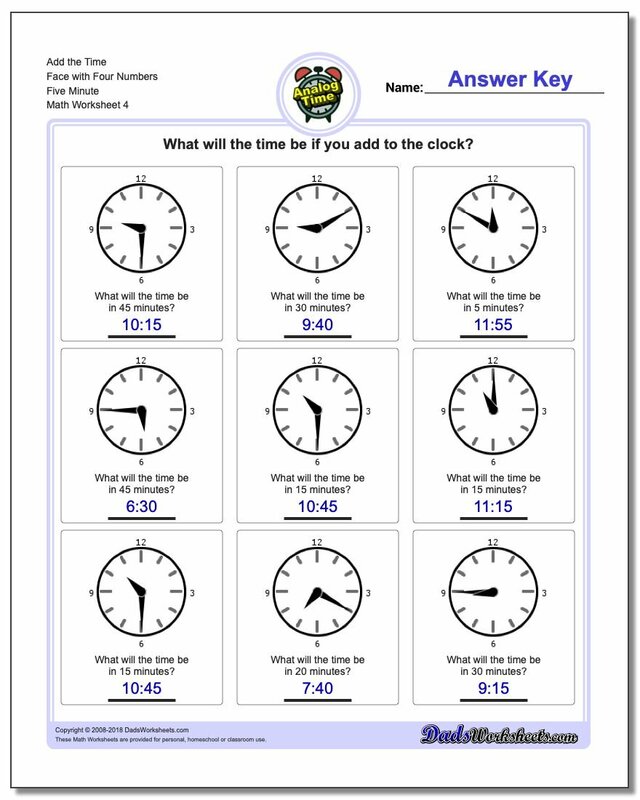 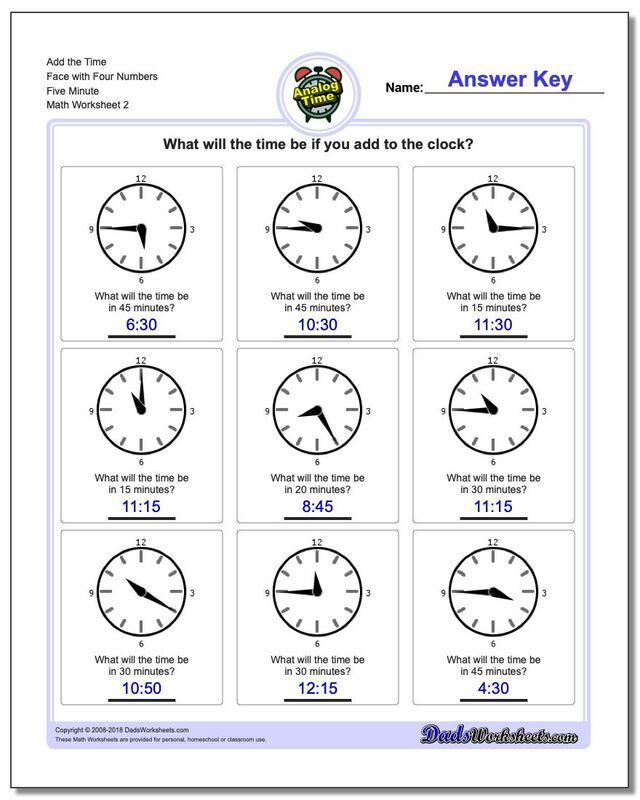 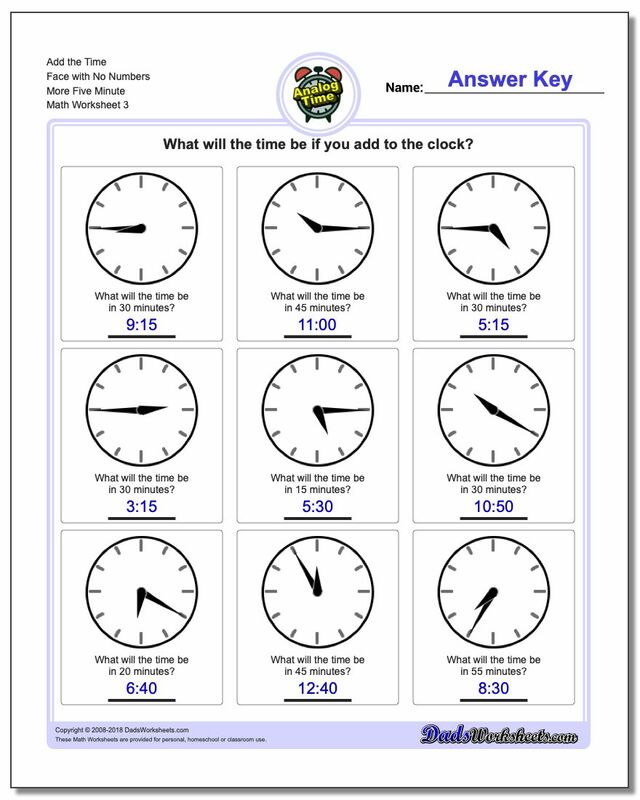 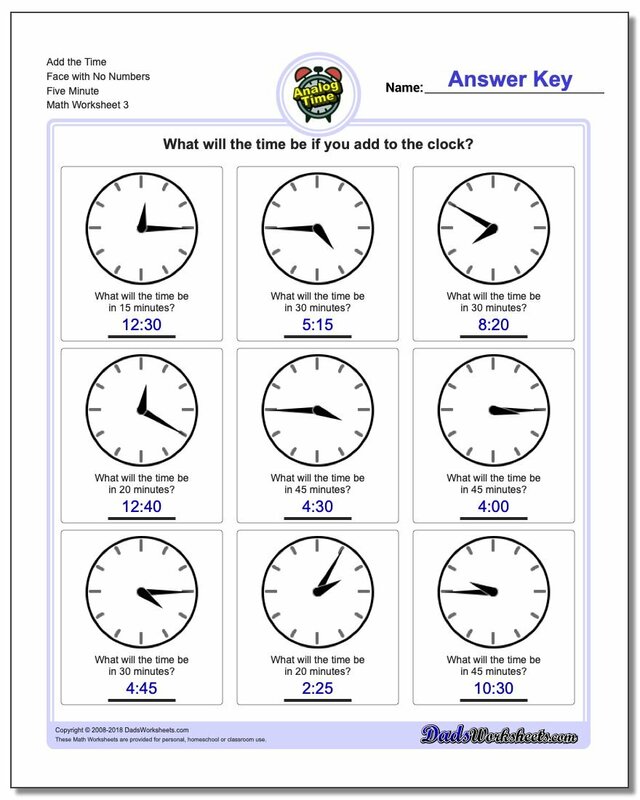 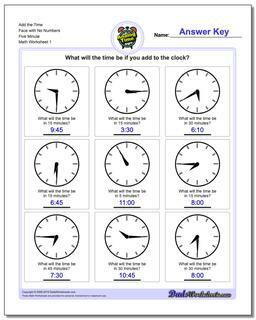 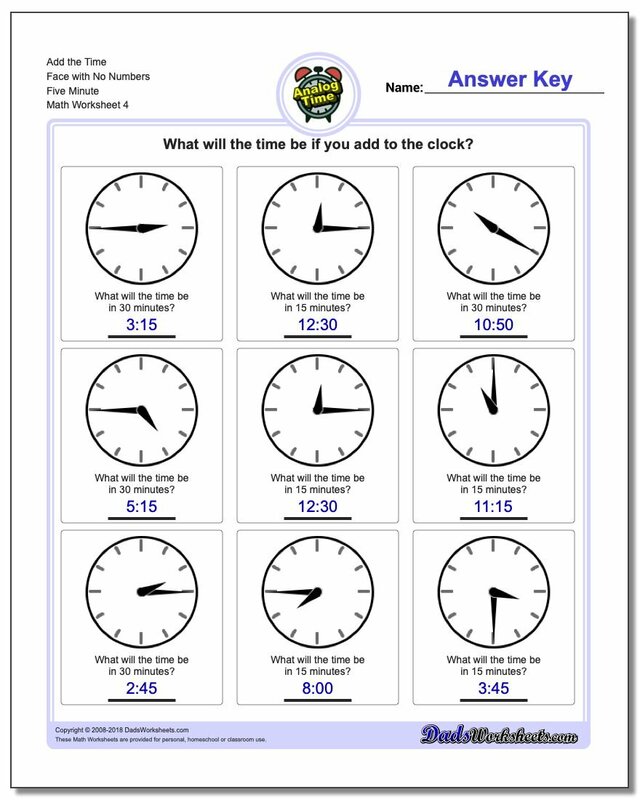 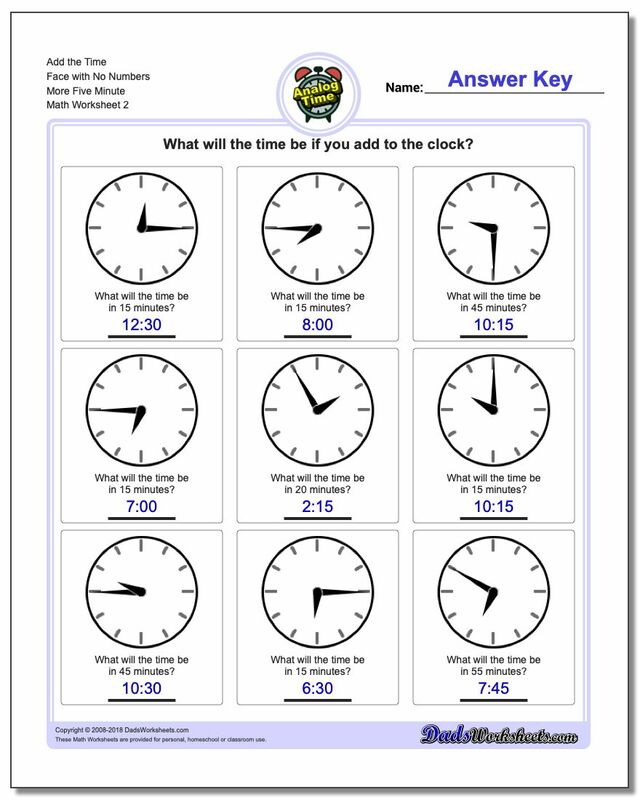 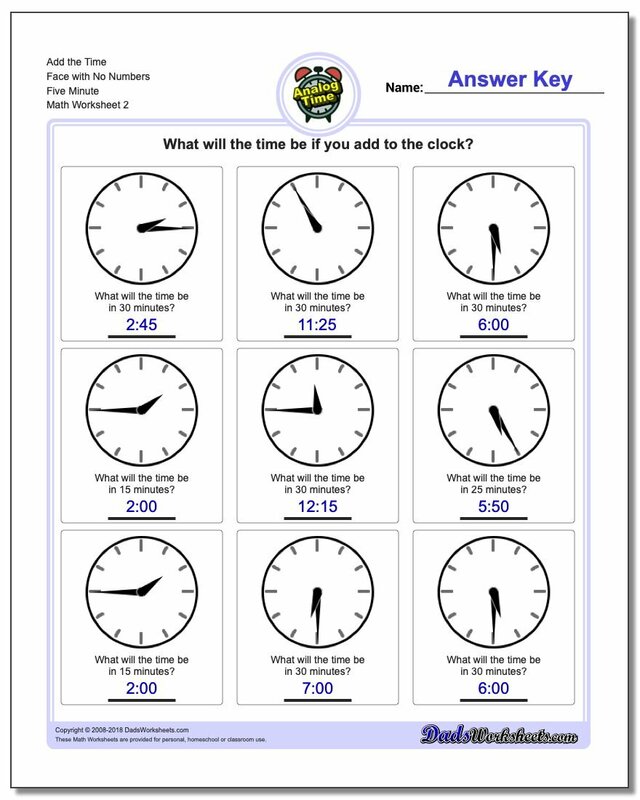 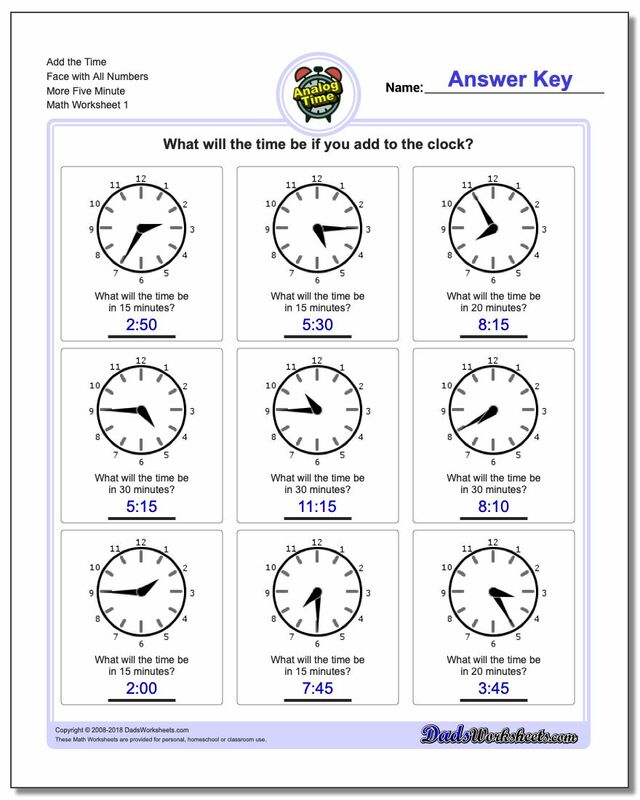 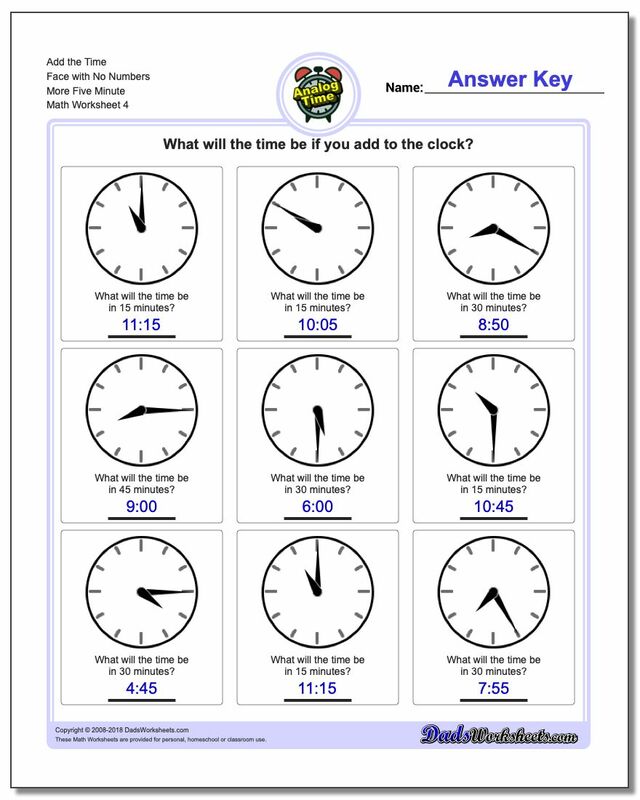 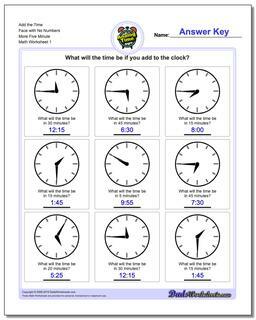 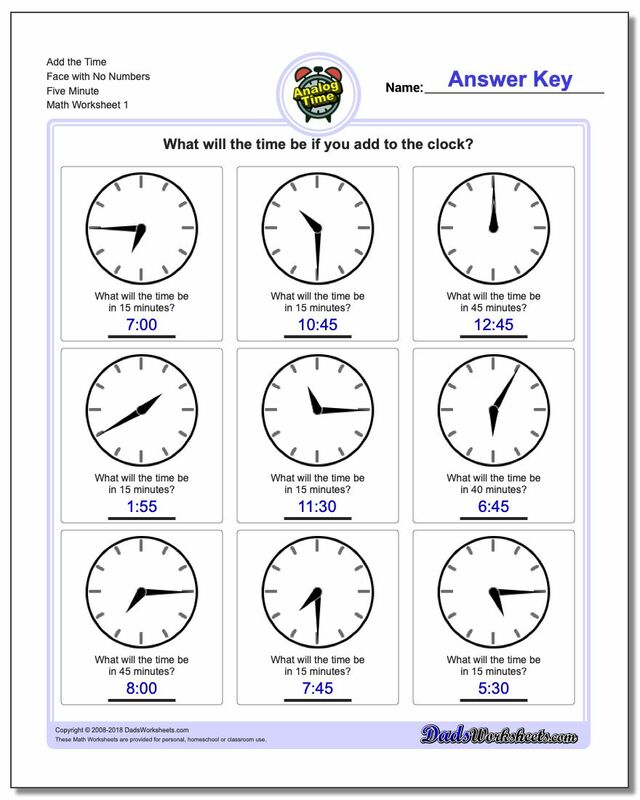 This is the full level of complexity for the adding time worksheets, dealing with adding minutes to times read from an analog clock fact at five minute intervals. 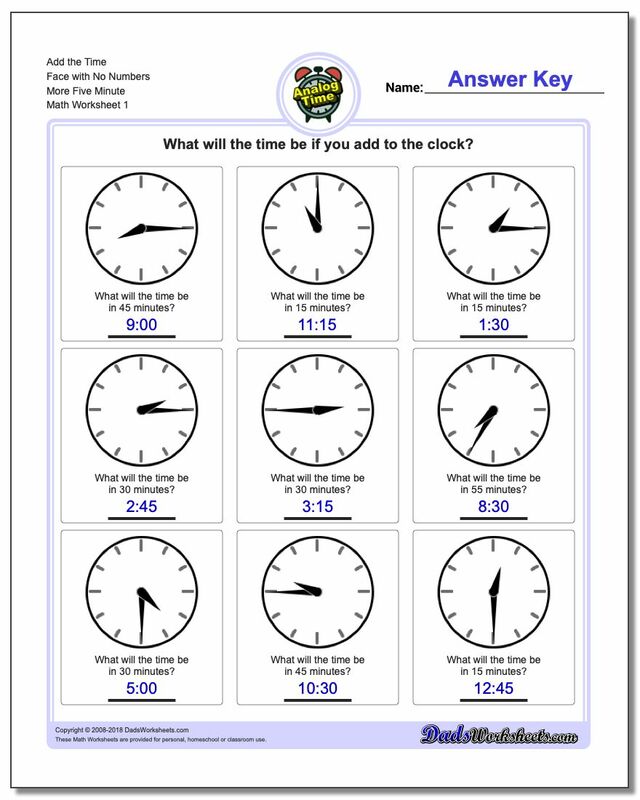 These worksheets start out with times that are within the starting hour, but later worksheets require calculating times that cross the hour boundary, so that the addition requires calculating the minutes required to fill the current hour and then the remaining minutes that 'carry over' into the following hour to get the final time.